Twitter took a look back at the video game-related content on its platform in 2017. In a blog post, Rishi Chadha, head of gaming content partnerships at Twitter, said more than 218 million tweets about gaming were shared by users around the world last year. In terms of mentions, the most-mentioned video game globally in 2017 was Pokemon, with 45 million mentions. Chadha also highlighted the popularity of esports on Twitter, as the social network livestreamed a variety of esports tournaments and other related content in the past 18 months. 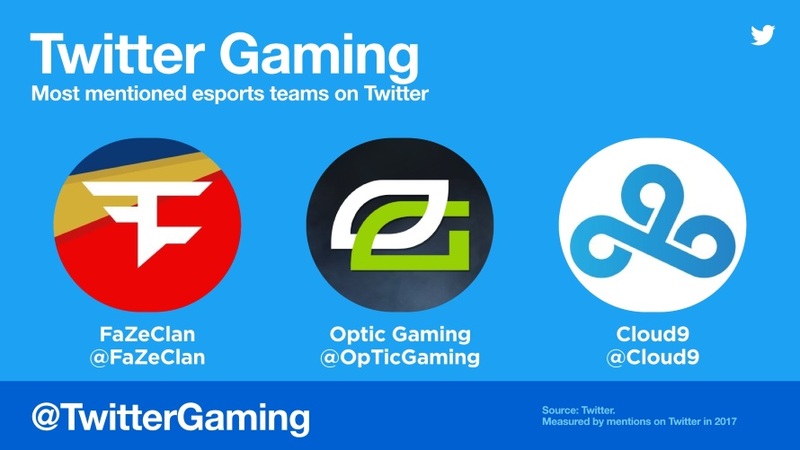 For 2017, the top three most-mentioned esports teams on Twitter were FaZeClan, Optic Gaming and Cloud9. In addition to streaming esports-related content, Twitter also livestreamed The Game Awards in 2017, with last year’s broadcast pulling in 20 times the number of unique viewers when compared with 2016’s viewership. In addition, use of the hashtag #TheGameAwards increased 2.7 times year-over-year. A full breakdown of last year’s gaming-related content on Twitter can be found here.